Lyndon Heffernan and his crew from South Coast Detour have been operating since 1998 conducting the best all inclusive guided trail rides. Heffo and crew specialize in group charter rides for discerning customers who want the best trails, back up and service. We use only the best accommodation and have purpose built back up trailer dedicated 4WD back up vehicle and highly experienced customer focused staff who provide excellent service. Our South Coast rides offer several overnight locations like Araluen, Majors Creek and Narooma and can be done over 2-4 days! 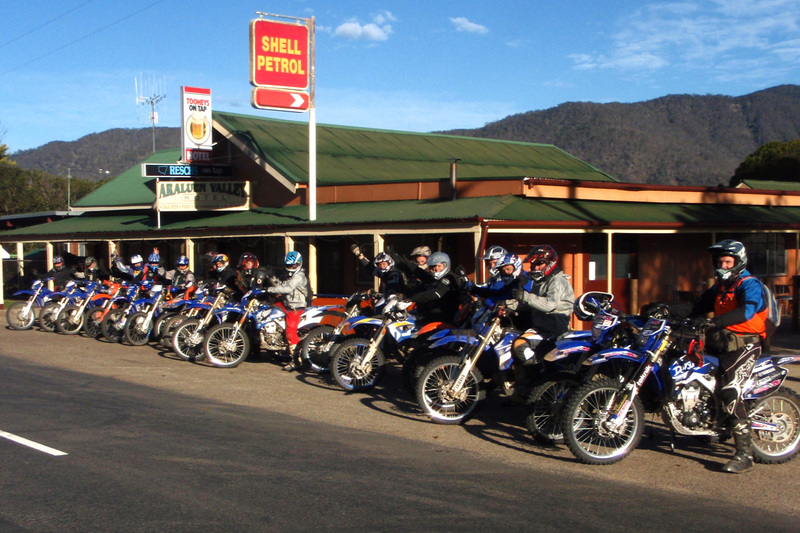 In spring summer and through to Autumn we also offer our Legendary Victorian High Country rides from our base camp at Tom Groggin to destinations like Dargo and Buchan and these rides are from 3 -5 days adventures. We also do rides from 1 day out of our base camp at Buckenboura Park at Batemans Bay these rides feature the option of brining the kids along as we can offer supervised riding on the property for the kids, while Dad hits the trails with the Detour crew. To book your next adventure contact (02) 42 324 580 during office hours or click the button above to fill in our contact form.